GRAPHISOFT is celebrating the 30th anniversary of ARCHICAD! Please visit archicad.com to view the most important milestones in ARCHICAD history, and feel free to add your own story as well! 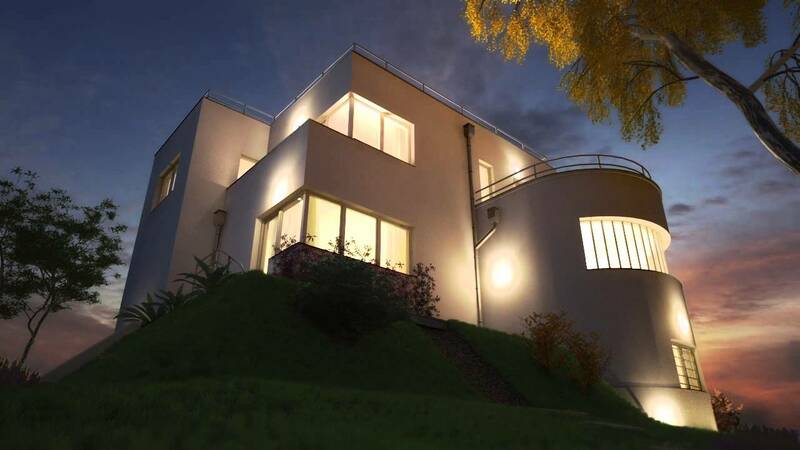 The integration of CineRender, MAXON’s world-class CINEMA 4D rendering engine into ARCHICAD 18, brings high quality, photo-realistic rendering images closer to a much wider range of designers. ARCHICAD 18 provides new, fully integrated Revision Management workflows and streamlined PDF support to greatly improve design data exchange and change management with clients, consultants and the authorities. ARCHICAD 18 continues to support OPEN BIM workflows and introduces the first architectural BIM application with full BIM Collaboration Format support. ARCHICAD 18 offers industry-first, real-time BIM collaboration regardless of the size, location or distribution of the collaborating team. ARCHICAD 18 unveils substantial enhancements to its existing workflows proving that listening to customers is of primary importance when assigning development resources at GRAPHISOFT. ARCHICAD 18 meets Cinema 4D live online seminar events. Graphisoft typically comes out with a new release of its popular BIM application, ARCHICAD, every summer, and following this schedule, it launched ARCHICAD 18 earlier this month. This happens to also be the 30th anniversary of the application, making it extra special not only to Graphisoft but also to the entire ARCHICAD community of users, developers, resellers, and consultants world-wide.